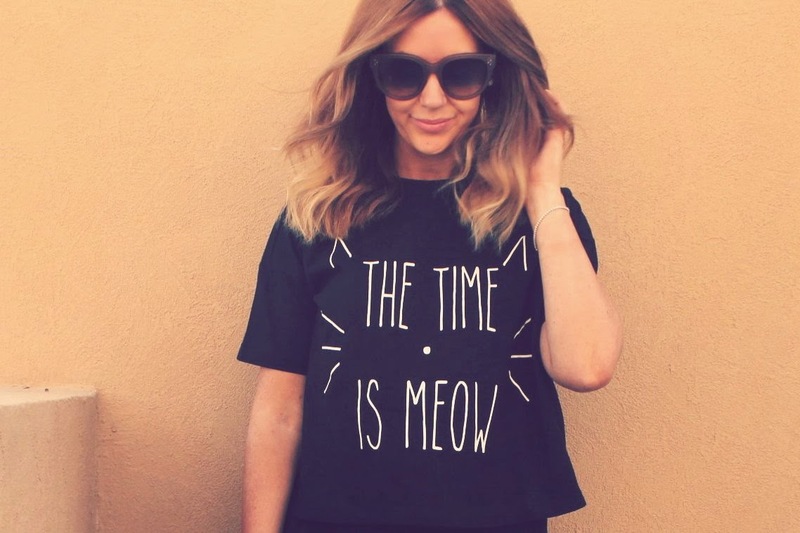 As soon as I saw it on ASOS I added it to basket and also got the really crazy cat lady - Laura Carlson - one as well. PS: This actually forms part of my dog walking OOTD as I am soon out for walk 2/3 and made a change into something more casual when I came home. Hope you all had a great week so far! LOVE the top! 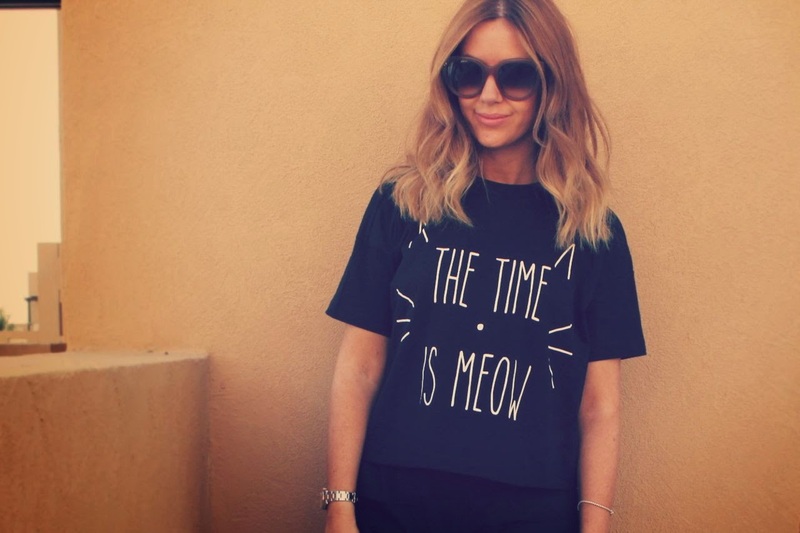 Slogan tee's are a serious fave of mine at the moment. I have to say your hair is absolutely gorgeous! Compliments your tan and everything sooooo well! I'm very jealous - so gorgeous! Such a fantastic top and I am loving your hair already. However, there really is nothing you can't pull off. So lovely. That top is adorable! And your hair looks incredible! OMG! This tee is so cute! Love it! Haha I'm not a cat person, but this is still very cute! I do think this is a great color for you! You might be right about the cool tones, but I'm excited to see what hair transformation you go for! I'm always too afraid to do anything to my hair (I've never dyed my hair) and that tshirt is hilarious. I love cats too and I bought a cat shirt from H&M to proclaim my love. I think I need this one too now! Love this top, you look beautiful. That tee is so cute! Can't wait to see how your hair turns out too... it already looks great! Your hair looks amazing Laura!! Ah I love it! I actually fall in love with your hair each time I see it! So far looks like you can pull off the blonde hair! I went blonde once or twice... for a day. Couldn't handle it. I just didn't look like "me". What's the likelihood of a "what's in my bag" blog post? I love this tee so much & i'm loving boxy tops a lot right now! I'm the world's biggest mad cat lady and I n-e-e-d this! So cute. And I absolutely love your hair, also :) makes me want to cut mine shorter! You've got t be kitten me, this is adorbs! i need this top now! I am loving the hair and the waves. Loving your hair!! It's gorgeous! I love this top. I just bought a jumper very similar to this :). I love this top! Now on sale on ASOS perfect!! I absolutely love this top, I think I need it!